Railways Minister Piyush Goyal launched the 'Rail Sahyog' web portal to provide a platform for the Corporates and Public Sector Units (PSUs) to contribute to the creation of amenities at or near Railway Stations through Corporate Social Responsibility funds. The app launch was in line with PM Narendra Modi's vision for a New India by 2022. It was a part of various initiatives undertaken recently by Indian Railways for upgrading its infrastructure, technology, hygiene among the host of other things for an enhanced passenger experience. The web portal www.railsahyog.in will enable desirous companies to show their willingness on the portal by registering their requests. Based on the principle of first come first serve, the requests will be shortlisted and selected applicants will be intimated to deposit the funds with Railways or with nominated agencies like RITES/RAILTEL etc. 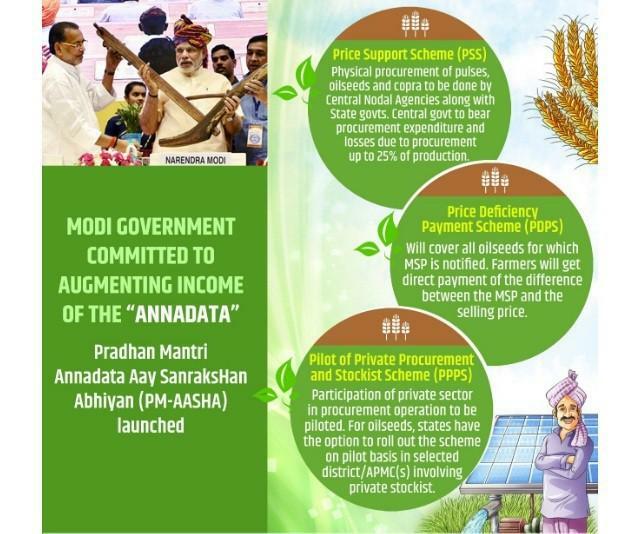 The Union Cabinet has approved a new Umbrella Scheme “Pradhan Mantri Annadata Aay SanraksHan Abhiyan’ (PM-AASHA).. The Scheme is aimed at ensuring remunerative prices to the farmers for their produce as announced in the Union Budget for 2018. It will give a major boost to the pro-farmer initiatives of the Government.The Government had previously increased the MSP of Kharif crops by following the principle of 1.5 times the cost of production. The increase is expected to be translated to farmer’s income by the way of robust procurement mechanism in coordination with the state governments. The states will have the option to roll out Private Procurement Stockist Scheme (PPSS) on pilot basis in selected districts and Agricultural Produce Market Committee’s (APMC) of district involving the participation of private stockiest. The Union Ministry of Health and Family Welfare on September 11, 2018 issued a notification for bringing the Human Immunodeficiency Virus and Acquired Immune Deficiency Syndrome (Prevention and Control) Act, 2017 in force with effect from September 10, 2018. 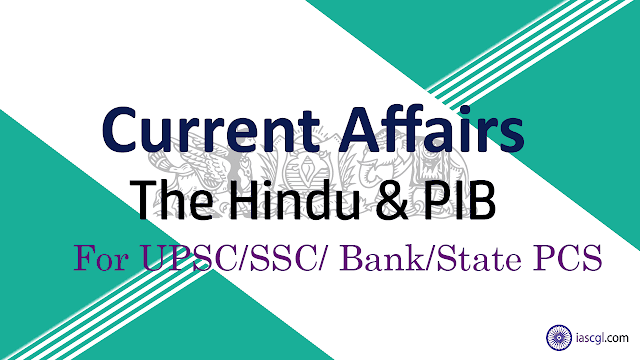 The Bill was introduced by senior Congress leader Ghulam Nabi Azad in 2014, was passed by the Rajya Sabha on March 22, 2017, and on April 12, 2017, it was passed by the Lok Sabha. It received the assent of the President on April 20, 2017. The HIV/AIDS Act, 2017 safeguards the rights of people living with HIV and affected by HIV. For the first time, bus services between Bihar and Nepal have started from Sept 11th, 2018. After flagging off the bus from Patna, Chief Minister Nitish Kumar said the relations between Nepal and Bihar will be strengthened. 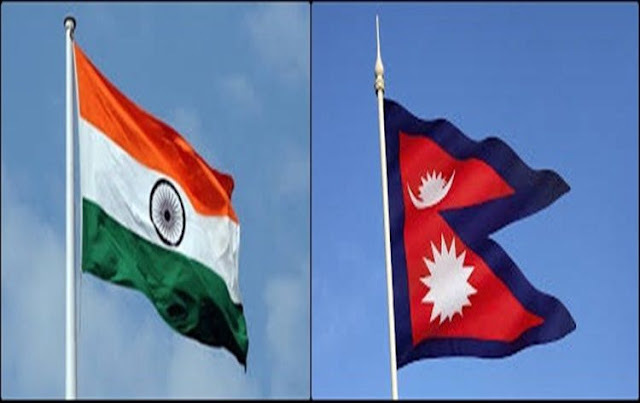 The bus services have been commissioned following the agreement between India and Nepal. The Chief said four buses will ply from Bodhgaya to Kathmandu. Similarly four buses will ply from Patna to Janakpur. The Kathmandu bound bus will go via Patna ,Raxaul and Beerganj. The Janakpur bound bus will go via Muzaffarpur and Sitamarhi. Mr Nitish Kumar said bus services from Kathmandu to Bodhgaya will be started by the Government of Nepal on the 13th of Sept. The sixth edition of ‘SLINEX 2018’, a joint naval exercise between the naval forces of India and Sri Lanka is currently underway in Trincomalee, a major port city of Sri Lanka. The bilateral exercise is being held from September 7-13, 2018. The bilateral exercise, which was previously held once in two years, will be held as an annual event from this year onwards. Three Navy ships from each side along with around 1,000 naval personnel from both countries are participating in the joint drill. The three Indian warships participating in the exercise include INS Kirch, Sumitra and Cora Divh. In addition to the three ships, one ship-borne integral helicopter and two maritime patrol aircraft Dornier are participating from the Indian side, while the Sri Lankan Navy is represented by SLN Ships Sayurala, Samudra and Suranimala. The exercise is being conducted in two phases. It commenced with the Harbour Phase, during which, the participants engaged in professional, cultural and social interactions. It was followed by the Sea Phase, from September 11- 13, in the Bay of Bengal off Trincomalee. The phase includes gun firings, communication procedures, seamanship as well as navigation evolutions and helicopter operations. The exercise aims to reinforce strong neighbourly ties between both countries underscored by extensive maritime interaction and improved understanding and contribute towards maritime security in the region. As part of the ongoing Indo-US defence cooperation, a joint military training Exercise Yudh Abhyas 2018 is scheduled to be conducted in the foothills of Himalayas at Chaubattia in Uttarakhand from 16 September to 29 September 2018. This will be the 14th edition of the joint military exercise hosted alternately by both countries. The joint exercise Yudh Abhyas 2018 will simulate a scenario where both nations will work together in counter insurgency and counter terrorism environment in mountainous terrain under United Nation charter. The two week exercise will witness participation of about 350 personnel of the US Army and similar strength of the Indian Army. The exercise curriculum is progressively planned where the participants are initially made to get familiar with each other's organizational structure, weapons, equipment, confidence training and tactical drills. Both armies have vast experience in active counter insurgency & counter terrorism operations and sharing each other's tactics & drills in such diverse environment is of immense value. The exercise is a great step for the armies of the two democratic countries to train together and gain together from each other's rich operational experiences. The latest exercise will help further build interoperability between the forces of both the nations. HDFC Life Elevates Vibha Padalkar As MD and CEO for 3 years. HDFC Standard Life Insurance has elevated its Executive Director and Chief Financial Officer, Vibha Padalkar, to the post of Managing Director and Chief Executive Officer for a period of three years. Her appointment comes after the current MD and CEO, Amitabh Chaudhry, resigned on September 8 to join Axis Bank as MD and CEO for a period of three years, effective January 1, 2019. She joined HDFC Life in August 2008 and has been leading the finance, investor relations, legal, secretarial and compliance, internal audit and risk functions. The company’s scrip is trading at Rs 433.90, down 2.69 per cent on the BSE, against a 0.76 per cent rise in the benchmark.